The trailer for Anushka Sharma and the upcoming Bollywood film by Varun Dhawan Sui Dhaaga was published recently and allowed everyone to speak online. While the audience is excited to see Sharma and Dhawan sharing the screen for the first time, the theme of the film "Make in India" has not gone unnoticed. 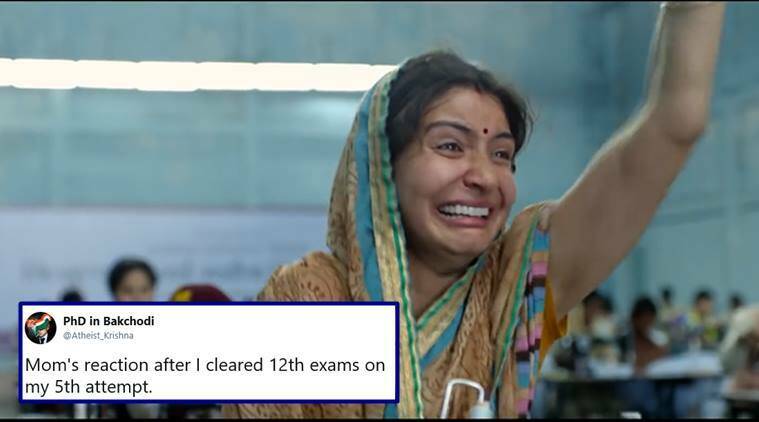 And while people enjoyed Sharma's "de-glam" avatar, who plays a budding entrepreneur, the photos from the trailer led to an online meme-fest. Twitterati seems particularly attracted by a scene in which the actor Pari is seen crying and now they can not stop subtitling him for various situations. But it's not just Sharma, even the protagonist has his right dose in this meme craze. Directed by Sharat Katariya, Sui Dhaaga does light on the life and the struggles of the artisans who assure their art of embroidery do not die. From the work of Kantha to Phulkaari, the artisans sent their creations that were all compiled in the main logo of the film.